This morning it was -4°C when I woke-up, I headed to a field near my home that I knew that will have a lot of frost. 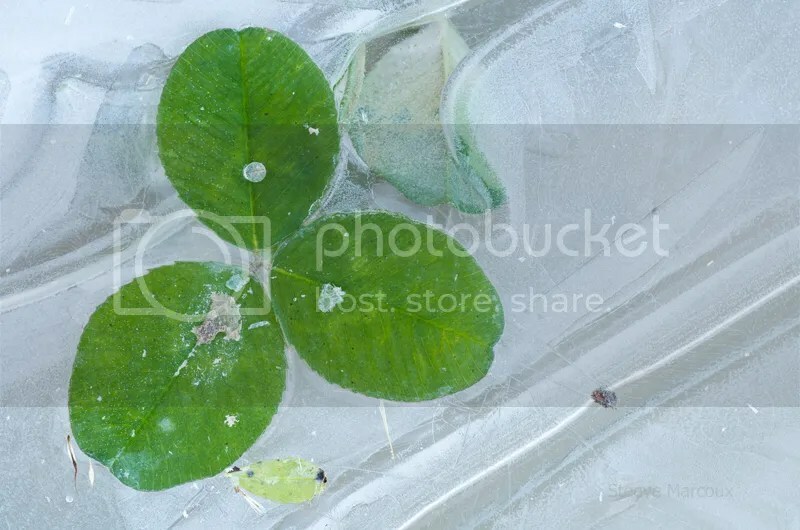 But the most interesting subject was Clover leaves caught in ice in a waterhole. Taken with my Pentax K50 and Tamron 90mm Macro, tripod. This entry was posted on October 18, 2015 by Steeve Marcoux. It was filed under Weekly photo and was tagged with clover, cold, ice, Pentax, pentax k50, tamron 90mm.